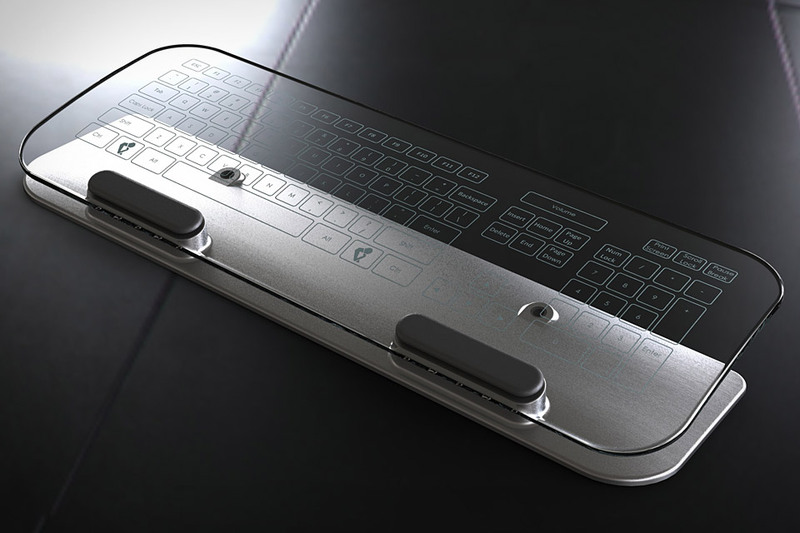 If you’re the sort whose work area collects enough lunch (and snack) leftovers during the course of a normal week to feed a small country, there’s a good chance you could benefit from this glass multi-touch keyboard and mouse created by Giddings Product Development. The input devices use infrared LEDs in conjunction with miniature cameras to to detect touches and movement on the tempered glass surfaces of the keyboard and mouse (making it virtually impossible to lose pieces of your donut between the “shift” and “return” keys). Both devices connect to your PC or Mac via Bluetooth, and are powered by rechargeable lithium polymer batteries. Giddings is currently funding the project via a Kickstarter campaign, but the fundraising efforts have already hit the desired $50,000 mark — so it’s fairly safe to assume production will begin soon. A minimum donation of $150 gets you the glass multi-touch mouse, while $250 gets you the keyboard, and $350 gets you the complete package.